Hardox® 500 Tuf, SSAB’s latest hard and tough wear steel, is making a pit stop at Bauma Munich on its successful journey around the world in a variety of applications. Following its pre-launch at Conexpo 2017 in Las Vegas, manufacturers and other visitors were quick to understand where, how and why Hardox® 500 Tuf could make their products more competitive. “We had great expectations of Hardox 500 Tuf. It combined the hardness of Hardox 500 with the toughness of our worldwide bestseller Hardox 450. Now it’s been thoroughly tested for more than a year by customers in different parts of the world. The feedback we are getting is really amazing. I’m sure Hardox 500 Tuf will be the new standard for premium heavy-duty tipper bodies, containers and buckets,” says Jenny Brandberg Hurtig, Product Manager for Hardox® wear plate from SSAB. Manufacturers using Hardox 500 Tuf can choose to increase wear life or increase payload – or both. Using a thinner plate in Hardox 500 Tuf can easily give 10-15% greater load capacity for a dumper or container. Staying with the same thickness on the other hand will give a 30% longer service life or more, depending on the abrasive material. Not only does Hardox 500 Tuf deliver high wear resistance – it’s also tough enough to perform as a structural wear steel. This offers new opportunities to reduce or exclude the supporting structures, allowing Hardox 500 Tuf to take the load instead. Early adopters of Hardox 500 Tuf are already gaining benefits. Hardox 500 Tuf has proven its worth in tippers, buckets, liners, containers and wear parts of all kinds. 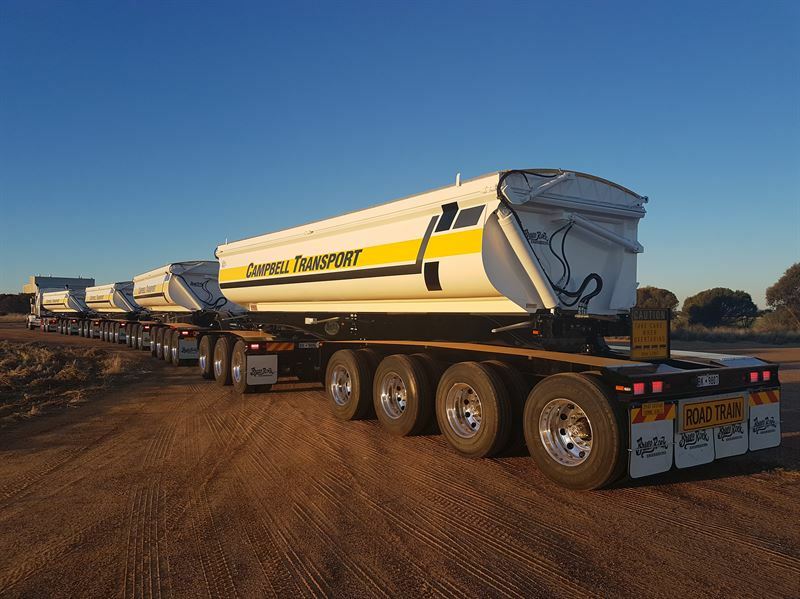 Customers we feature here include Bruce Rock Engineering (Australia), Buffalo Trailer Mfg. 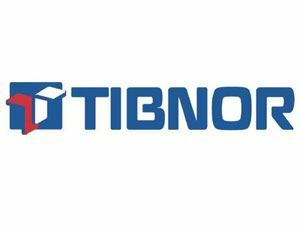 Inc. (USA), Industrias Baco (Argentina), Thompsons (UK), TMCC (Sweden), and Zetterbergs (Sweden). Read more about their experiences below. Don’t just take our word for it or read about the product. Meet us face to face at Bauma 2019 at stand A6.439. Hear our customer success stories. And get up close and personal with a big slice of Hardox® 500 Tuf right on site. To learn more about Hardox 500 Tuf or any of its success stories, please contact Ursula Egenhofer, Brand Manager Hardox® wear plate, at ursula.egenhofer@ssab.com, Phone: +1-412-680-0080. 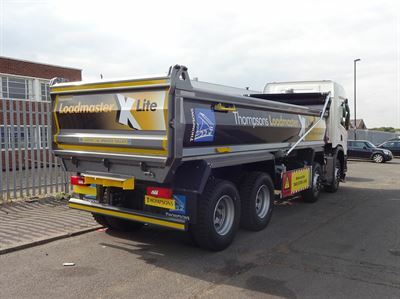 Thompsons is the largest steel tipper body manufacturer in the UK. This family business started over 40 years ago in London and now has nine factories covering Scotland, northern England and southern England. The company is renowned for the quality of its tipper bodies, with high quality and extensive support services available 7 days a week nationwide. Thompsons’ reputation for quality is largely built around modern designs coupled with the highest quality material available. 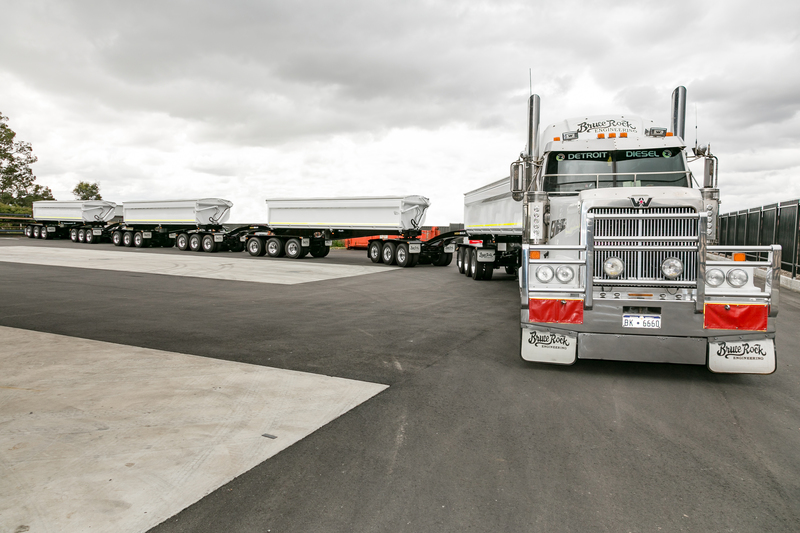 The company builds around 1500 trucks per year ranging from bespoke Beavertail bodies to standard 32-ton tippers. At the moment, Thompsons has introduced Hardox 500 Tuf on its lighter bodies, for example the newly designed tipper body Loadmaster X-lite. Once its performance is verified, it will be rolled out across a wider range of bodies and become a standard material for Thompsons. “We pushed for Hardox 500 Tuf to be included in our newest range of bodies based on the SSAB literature regarding this material. SSAB has an excellent reputation and we decided that it would not risk that reputation if it hadn’t tested the product thoroughly,” says Griffin. 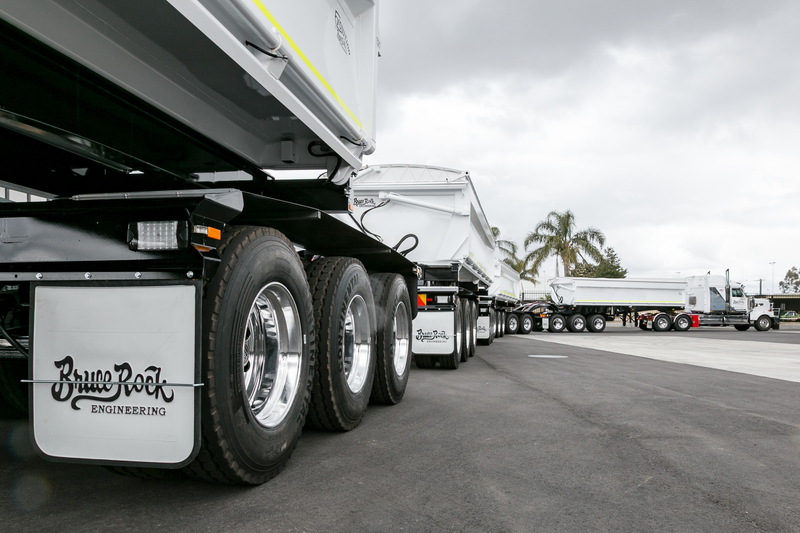 Bruce Rock Engineering (BRE) is a family-run business founded in 1980 in the wheat belt region of Western Australia. The company offers innovative and leading-edge solutions Australia-wide, providing lightweight, strong and hardwearing road transport equipment for the transport, mining, construction and agricultural industries. The company’s full suite of products includes end tippers, side tippers, dollies, skel trailers, flat tops and drop decks, road trains, dry and refrigerated trailers, live bottom trailers and custom designs. Transbeam Industries is a sister company of BRE and has been around for around 12 years. Transbeam provides CNC plasma cutting, plate processing, automated beam welding and specialist fabrication services. BRE and Transbeam are members of SSAB’s brand programs Hardox® In My Body and My Inner Strenx® and the worldwide service network Hardox Wearparts. BRE is known for providing the lightest tare weights in Australia. This will maximize their end customers’ profits while minimizing maintenance and operating costs. BRE has used Hardox 450 as its material of choice for a long time. When Hardox 500 Tuf wear plate was introduced, the company was quick to introduce this new grade in its products. Customers are always looking for ways to increase the wear life of their equipment, as well as achieving higher impact toughness, particularly when transporting rock and other heavy and abrasive materials. Hardox500 Tuf is just the right wear plate to satisfy those needs. Based on many years of working with SSAB as a steel supplier, BRE trusted Hardox 500 Tuf to be as reliable and consistent as Hardox 450. 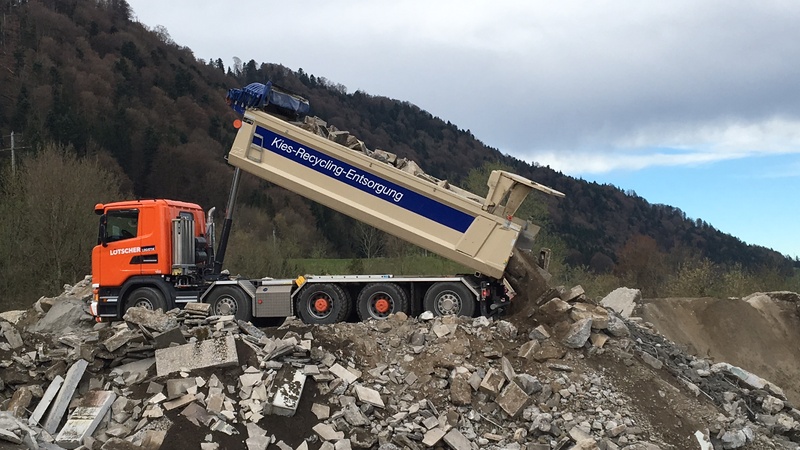 The new Hardox® grade basically went straight into production and BRE has been proved right to rely on the product specifications given by SSAB. When BRE manufactures its trailers and other transport equipment in Hardox 500 Tuf plates with the same thickness as for Hardox 450, the increase in hardness improves the abrasion resistance. In many cases it translates to double the service life, with similar toughness as for Hardox 450. Alternatively, by reducing the thickness of the plates in Hardox 500 Tuf, their customers get equipment that is lighter and can take more payload without sacrificing the wear life. “We have introduced Hardox 500 Tuf more or less across our entire product line. We make our trailer bodies with it; we use it for bucket wear strips and as a wear liner for milling plant hoppers. This has really been a major leap in the development of premium AR materials. And, something which is unique to Hardox, thanks to its toughness it also works as a structural steel,” says Michaelas. 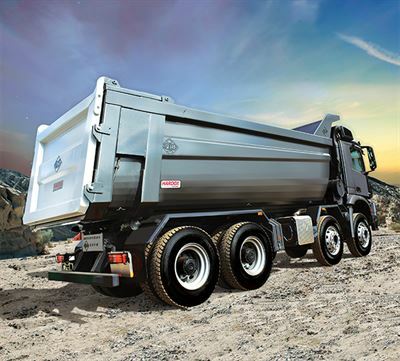 Industrias Baco is the market leader in Argentina in the heavy-duty tipper segment. The company has been producing tippers since 1953 and is the first Argentinian manufacturer to produce tippers made with Hardox® wear plate. Industrias Baco has been a member of Hardox® In My Body since May 2017. When Hardox 500 Tuf was pre-launched at Conexpo 2017 in Las Vegas, it caught the attention of the people from Industrias Baco who were quick to secure the first shipments. “We received a small amount of Hardox 500 Tuf to test its workshop properties, before going ahead with a more substantial order. We fully trust the brand, so we did not need to test the final product just because it’s a new grade. From the specifications we knew it would last around 30% longer than Hardox 450,” says Cartasegna. Most of the customers are interested in longer service life as compared to more payloads. 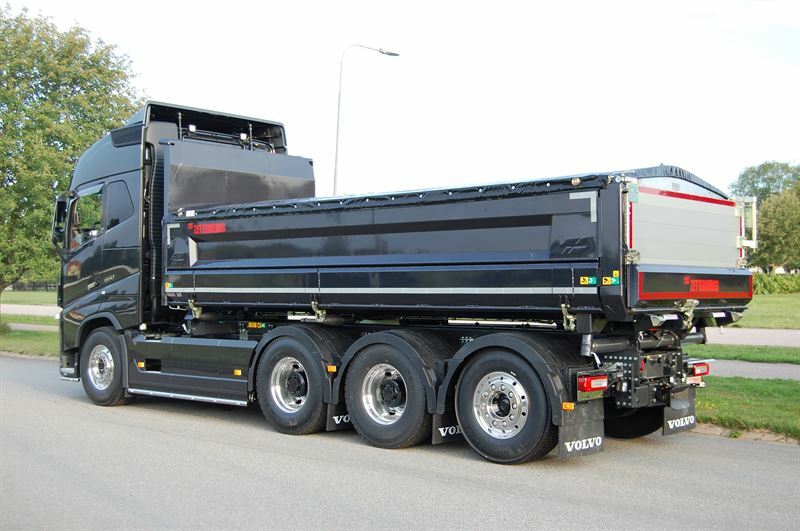 The new tippers in Hardox 500 Tuf share the same thickness, 6 mm (0.236"), as the models with Hardox 450. This will give an increase in service life of about 30%. For customers that previously used tippers in 8 mm (0.315") Hardox 450, the new tipper in 6 mm (0.236") Hardox 500 Tuf weighs 700 kg (1543 lbs) less and gives the same service life. 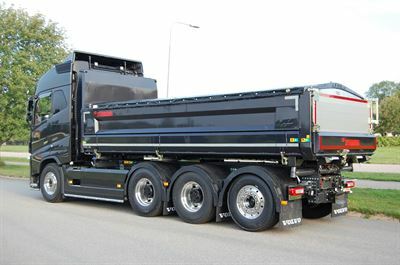 “We have already delivered around 60 tippers made with Hardox 500 Tuf and the potential looks great. 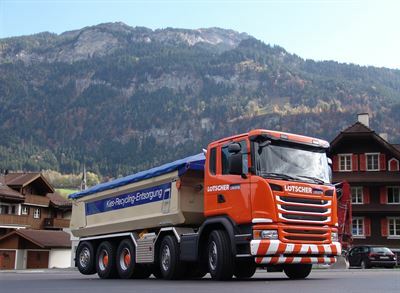 Our goal is to upgrade to Hardox 500 Tuf for all our tippers,” says Cartasegna. US manufacturer Buffalo Trailer Mfg. Inc. (Buffalo Trailers) was founded in 2015, with the mission to provide the market with better quality steel dump trailers and dump bodies. 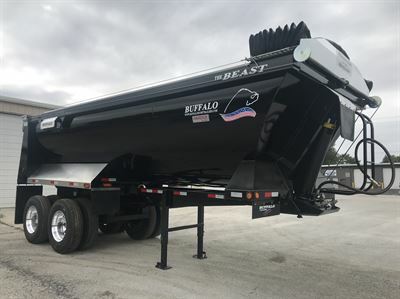 Building with Hardox wear plate was a natural choice, as the owners of Buffalo Trailers are convinced it is the best wear plate on the market. By using thinner dimensions of Hardox® 500 Tuf, Buffalo Trailers could reduce the weight of its trailers and take more payload without sacrificing performance or durability. Hardox® 450 wear plate with a ¼" (6.4 mm) thickness was replaced by 3/16" (4.8 mm) Hardox® 500 Tuf. When cutting, machining and welding, Buffalo Trailers didn’t notice any substantial difference compared to Hardox 450. Since Hardox 500 Tuf is harder, machining required stronger equipment. “We were pleasantly surprised to see that Hardox 500 Tuf behaves so similarly to Hardox 450 while cutting and welding. This allows for a smooth transition to Hardox® 500 Tuf,” says Saenz. 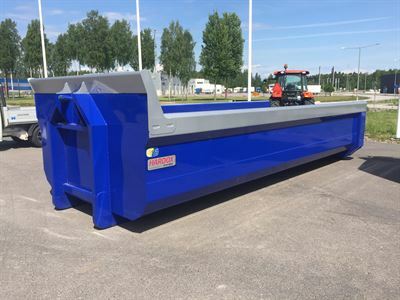 Zetterbergs develops, manufactures and markets a wide range of truck dumper bodies, tipper trailers, swap flatbeds and refuse collection superstructures. The company was founded in Sweden in 1923. Powerful ideas, quality thinking and hard work have transformed Zetterbergs into a leading company in its field. The ZD4 is a fourth-generation dumper from Zetterbergs and is manufactured using Hardox 500 Tuf. This new material has allowed for a 20% or 650 kg (1433 lbs.) reduction in tare weight. The ZD4 features a new, streamlined design in which the base, sides and front wall form a single functional unit for extra high performance. “The ZD4 dumper with Hardox 500 Tuf has excellent wear resistance and the low weight means a great increase in loading capacity. 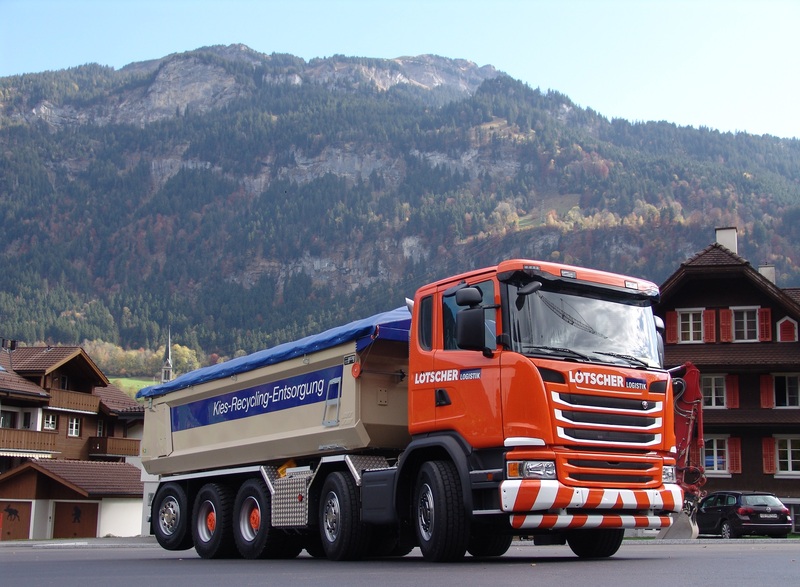 Customers love that and we’re happy to be able to supply them with this market-leading product,” says Roberth Löfstedt at Zetterbergs. Upgrading from Hardox 450 to Hardox 500 Tuf has been simple and straightforward. Zetterbergs has used the same production equipment and settings as before. 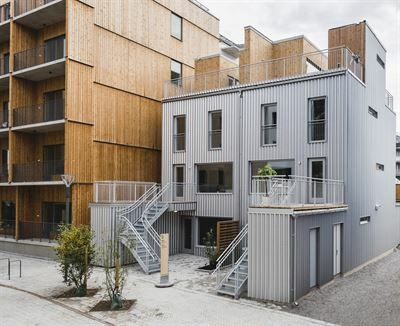 The project has been carried out in close cooperation with SSAB’s product development team. Improvements in design and performance are very much a result of teamwork that has utilized the properties of Hardox® 500 Tuf to the fullest. “We had three goals with the new ZD4. We wanted a 20% weight reduction, an attractive design, and for the dumper to sit low on the truck. We met the weight, design and height goals. With a build height of 340 mm (13.4”), it is the lowest on the market. Hardox 500 Tuf has really proved its worth, and we are looking at how to use the steel in all of our products,” says Löfstedt. TMCC manufactures dumpers for tipper trailers, load changers, speed locks, rotortilts and other add-on equipment for trucks and excavators. TMCC is part of Engström, founded in 1956 as a supplier of building and infrastructure equipment. “I think we are currently the first company to make a roll-off container with Hardox 500 Tuf. We have also used the material to make buckets for excavators. Common for all the products where we use Hardox 500 Tuf is that we achieve longer service life thanks to the higher wear resistance,” says Jan-Olow Engström, CEO of TMCC. The floor of TMCC’s roll-off container is made of Hardox® 500 Tuf in 5 mm (0.197") thickness instead of the previous 6 mm (0.236") Hardox 450. The reduced thickness translates to a weight reduction of about 125 kg (276 lbs. ), which allows for a similar increase in load capacity. TMCC also builds buckets that can take loads up to 10 m3 (353 cu.ft.). By using Hardox 500 Tuf and designing the buckets differently, they are up to 30% lighter. One reason is that extra wear materials can be reduced or eliminated entirely, thanks to the higher hardness of Hardox 500 Tuf. TMCC has not experienced any issues when processing Hardox 500 Tuf. When welding, it behaves in the same way as Hardox 450. TMCC manufactures the container out of precut parts delivered by SSAB Shape. The design is optimized for low weight and long wear life. The floor in Hardox 500 Tuf is welded to the sides with an integrated top rail in Hardox 450. As a next step in the development of the container, the sides can also be made in Hardox 500 Tuf in a thinner dimension. “We’re really happy with the performance of Hardox 500 Tuf. Our first series of containers has been tested on the road for quite a while now and everything looks as good as we expected from an SSAB product. The wear resistance is excellent and the impact toughness keeps the container looking good even when it’s treated roughly,” says Jan-Olow Engström. For more information about any of these cases or about Hardox 500 Tuf in hardwearing and lighter applications, meet us face-to-face at Bauma 2019, stand A6.439. Hear our customer success stories. And get up close and personal with a big slice of Hardox 500 Tuf right on site.